Shark cage diving is one of the best ways to experience one of the ocean’s most majestic, and feared, predators up close. It is one of the most popular activities among visitors to Cape Town. There are few things more exhilarating than looking a great white shark in the eye, while appreciating the sheer beauty of these magnificent creatures. With the densest populations of great white sharks in the world, Dyer Island in Gansbaai is arguably one of the best places in the world to get up close with these majestic beasts. ‘Shark Alley’ has been the subject of numerous documentaries. It is the most popular spot for cage diving and breaching. It’s a bit of a drive to get there, but totally worth it. 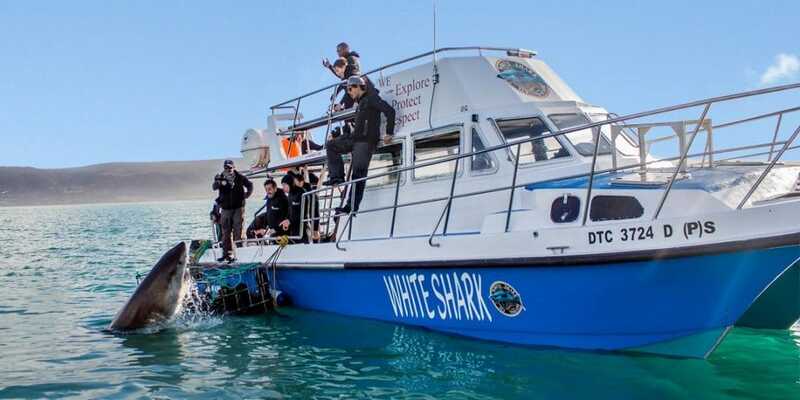 Great White Shark Tours are a reputable operator located just outside of Gansbaai, and a City Pass will get you a free shark cage diving experience. Sharks, sharks and more sharks! Get to experience the majestic great white shark up close during a cage dive or watch in awe as these powerful creatures launch themselves into the air while on the hunt for seals. If you’re in Gansbaai, stop by Hermanus on the way back, and wander through the streets of South Africa’s whale spotting capital. Who knows, maybe you’ll spot another one of the ocean’s most celebrated creatures? If your tour is in False Bay, explore the historic naval village of Simon’s Town or stroll along the streets of Kalk Bay just down the road, or take a mini tour of the peninsula with Boulders Beach and Cape Point a short drive away. While cage diving can be experienced year round, breaching expeditions only take place during the winter months, from June to September. Gansbaai is a scenic two-and-a-half hour drive from Cape Town. Most operators offer a shuttle service at an additional fee. The shuttle will pick you up from the anywhere in the city centre or surrounds. Simon’s Town is a quick 45-minute hop around the peninsula from Cape Town’s city centre. Most shark cage diving operators offer a shuttle service from anywhere in the greater Cape Town area. 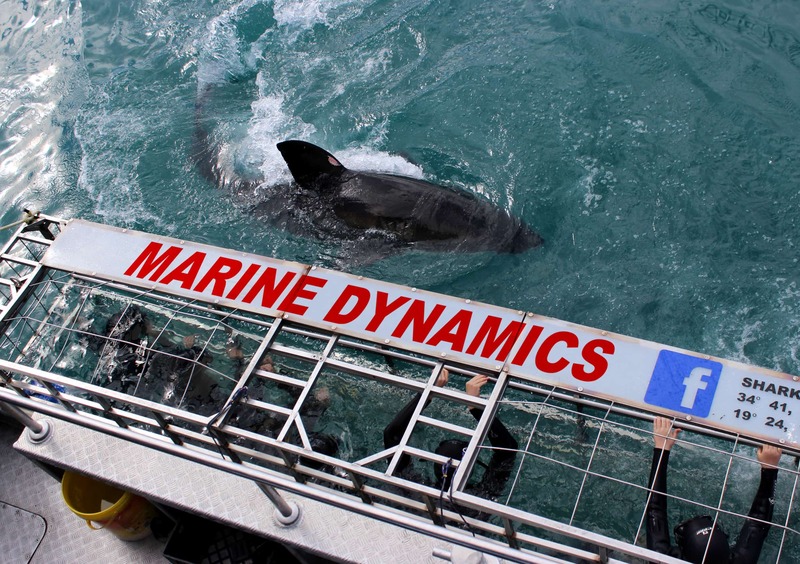 The Western Cape is one of the most important great white research areas in the world. 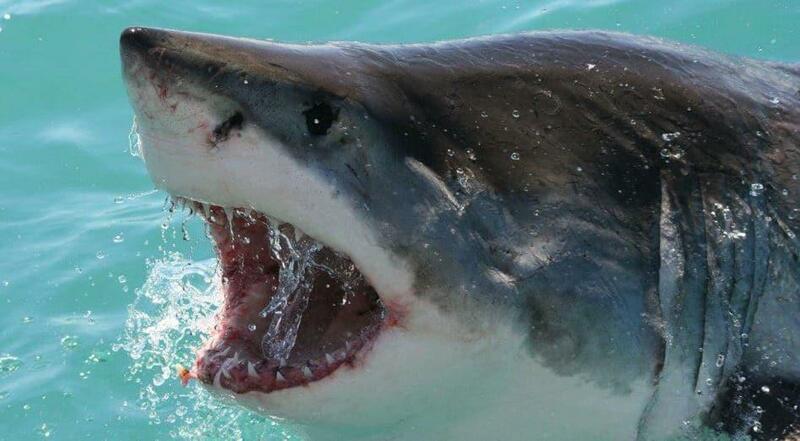 In fact, the majority of the world’s great white shark research takes place in Gansbaai. Most shark cage diving operators take conservation very seriously. They’re dedicated to operating tours in ways that will have the least impact on the environment, natural habitat, and behavior of the sharks. The weather is a big factor when it comes to dives and expeditions, especially during winter (it’s not called the Cape of Storms for nothing). Tours might be cancelled at the last minute due to adverse conditions. However, in the event of a weather cancellation, most operators offer vouchers to reschedule the tour for another day.